The ACM CHI Conference on Human Factors in Computing Systems is the premier international conference of Human-Computer Interaction. This year, two papers from SACHI received a best paper and an honourable mention award. 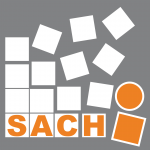 Across the program, members of SACHI had 9 papers and other works at this years CHI 2014 conference. Michael Mauder (a PhD student in Computer Science), Simone Conte (an undergraduate student in CS), Miguel Nacenta (an academic in CS) and Dhanraj Vishwanath (an academic in Psychology here in St Andrews) were awarded an honourable mention for their full paper on Depth Perception with Gaze-contingent Depth of Field. Jakub Dostal (a PhD student in Computer Science) along with many colleagues from Microsoft Research in Cambridge were awarded a best paper for their full paper on RetroDepth: 3D Silhouette Sensing for High-Precision Input On and Above Physical Surfaces. This work stems from a SICSA industrial internship award Jakub held to work with MSR during the summer of 2013. AVI 2014 is the International Working Conference on Advanced Visual Interfaces and through more than two decades, the Conference has contributed to the progress of Human-Computer Interaction, offering a forum to present and disseminate new technological results, new paradigms and new visions for interaction and interfaces. Per Ola Kristensson and Aaron Quigley (academics in Computer Science) along with colleagues from the University of Castilla-La Mancha Albacete, Spain have been awarded a best paper award for their full paper on AwToolkit: Attention-Aware User Interface Widgets. This work stems from a collaboration formed from the research visit of Juan to SACHI during the summer of 2013 and subsequent joint research. Members of SACHI are presenting 3 papers and a poster at this years AVI 2014 conference.